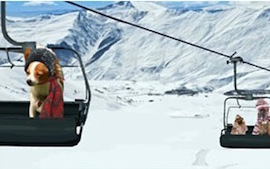 Why choose a Saint Bernard to be the star of your ecard? The Saint Bernard can grow to be up to 30 inches and 180 pounds. A gentle giant, the dog is capable of incredible feats, but prefers to spend its time with loved ones, snuggled up inside. Though the Saint Bernard was not bred to be a guard dog, it's a rare burglar that wouldn't be deterred by the beast-like power and size of the canine. In fact, the Saint Bernard had a deeply ingrained protective side sure to come out when its owner(s) are in trouble. Loyal (even for a dog) and saint-like (hence its name), the Saint Bernard will provide a peaceful, endearing face to any e-card. Create your own ecard starring a Saint Bernard, including your own, as you like! 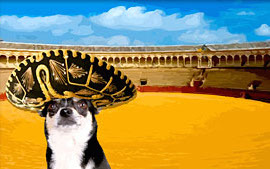 Then dress up the pets and decorate the scene. 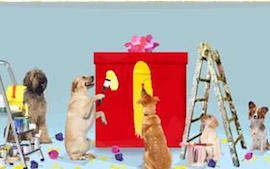 Send birthday wishes to all your furry friends! 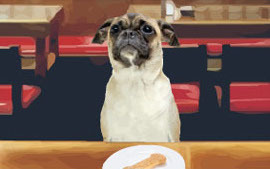 You can choose a Saint Bernard to star in any of our birthday ecards. 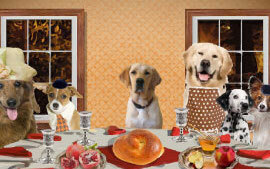 Want to get all your fabulous furry friends and family together for Passover this year? 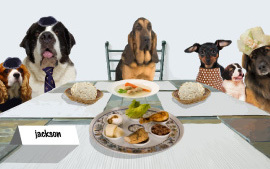 Invite them over with a Sloppy Kiss Passover ecard starring a Saint Bernard. Make sure Mom knows you are thinking of her on her special day. Brighten her day with a Mother's Day ecard starring a Saint Bernard. 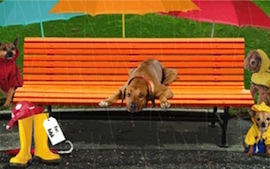 A wagging tail is a great way to say thank you! Put a smile on someone's face with a Sloppy Kiss thank you ecard and choose a Saint Bernard to be the star! Know someone who's been working like a dog, or has their tail between their legs? 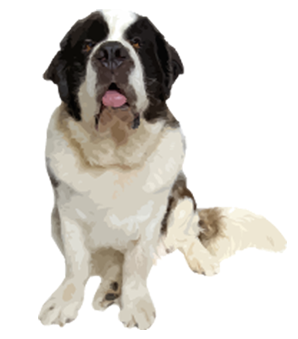 Select a Saint Bernard to deliver your thoughtful message. Puppy love in the air? 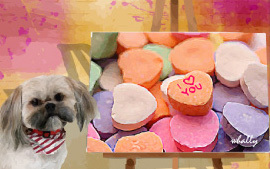 Say I love you with a Sloppy Kiss ecard and make a Saint Bernard the star! Who's the big dog on campus? Puppy on the way? Deliver your message of congratulations with a Saint Bernard as the star of your congratulations ecard. Who said dogs and cats can't get along? 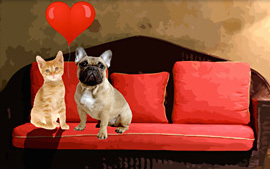 In these ecards cats and dogs move in together, celebrate anniversaries, and more. 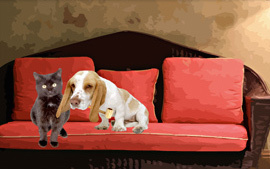 Choose a Saint Bernard to star along side your favorite cat! Having a party? Is there a new dog in the family? 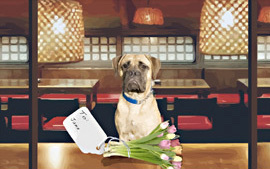 Choose a Saint Bernard to star in your ecard and let the good times roll! Have a special moment you want to share? 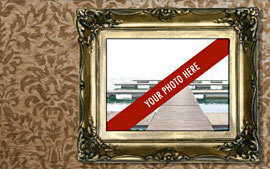 Upload your own photo and choose a Saint Bernard to deliver your special message. Send anniversary wishes to your loved one or to that wonderful loving couple you admire! 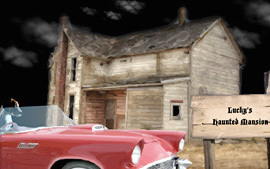 You can choose a Saint Bernard to star in any of our anniversary ecards. Just feel like saying hi to a friend or want to let them know how much you appreciate them? 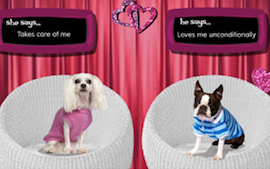 Choose a Saint Bernard to star in any of our friendship ecards to deliver your special message. Send an encouraging message to a loved one with a Sloppy Kiss ecard. You can choose a Saint Bernard to star in any of our encouragement ecards. Do you owe someone an apology? Say sorry with a Sloppy Kiss ecard starring a Saint Bernard . Send get well wishes to a loved one with a Sloppy Kiss ecard. 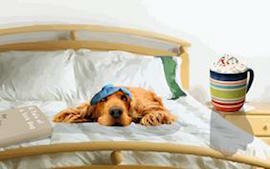 You can choose a Saint Bernard to star in any of our get well ecards. 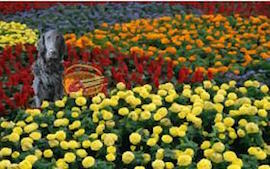 Send your sympathies to a loved one that has lost their beloved pet. 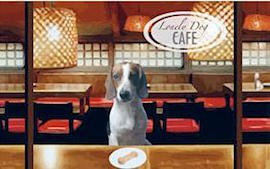 You can choose a Saint Bernard to star in any of our sympathy for pet loss ecards. New dog in the family? 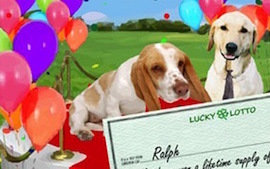 Share the big news or congratulate the lucky family with a Sloppy Kiss ecard. 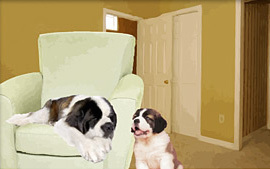 You can choose a Saint Bernard to star in any of our dog adoption ecards. Just feel like letting someone know you are thinking of them? 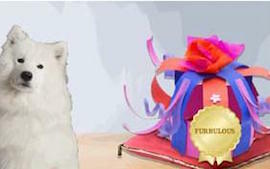 Choose a Saint Bernard to star in any of our just because ecards to deliver your special message. 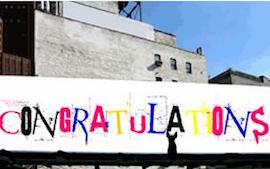 Congratulate someone on their graduation with a Sloppy Kiss ecard. 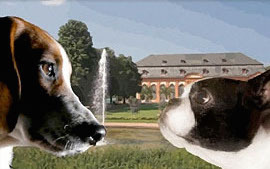 You can choose a Saint Bernard to star in any of our graduation ecards. Are you missing a loved one and want them to know? Send them a Sloppy Kiss ecard starring a Saint Bernard to say I'm missing you. Send good luck wishes to a friend or loved one with a Sloppy Kiss ecard. 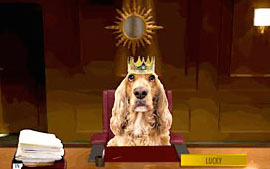 You can choose a Saint Bernard to star in any of our good luck ecards. Wish your friend, loved one or colleague all the best in their retirement with a Sloppy Kiss ecard. 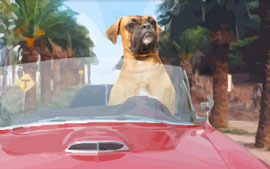 You can choose a Saint Bernard to star in any of our retirement ecards. 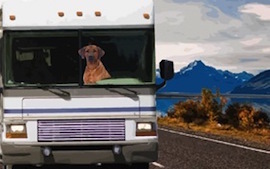 Is a good friend heading off on a trip? Want to wish them well? 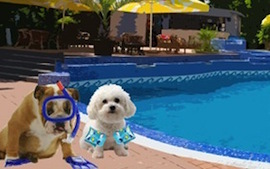 Send them a Sloppy Kiss bon voyage ecard starring a Saint Bernard. Memorial Day is a time to honor, remember and give thanks. 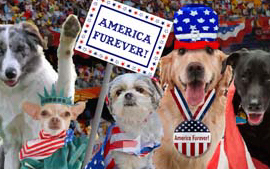 You can choose a Saint Bernard to star in any of our Memorial Day ecards. 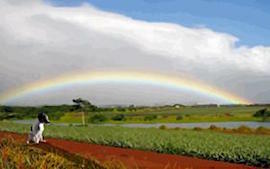 The sun is shining, the flowers are blooming! It's a beautiful time of year. Send springtime wishes to all your loved ones with a Sloppy Kiss ecard. 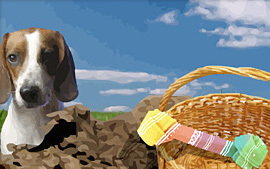 You can choose a Saint Bernard to star in any of our springtime ecards. Dad loves hearing from his favorite pups on Father's Day. Send Dad a Sloppy Kiss Father's Day ecard with a Saint Bernard as the star! 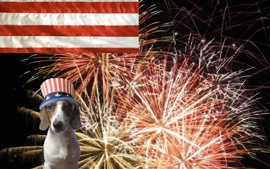 Invite all your furry friends over for a July 4th party or wish your canine crew a Happy Fourth of July with a Sloppy Kiss ecard starring a Saint Bernard! 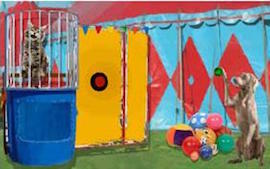 Summertime...BBQs, picnics, playing at the beach and so much more! It's such a fun time of year. Send summertime wishes to all your loved ones with a Sloppy Kiss ecard. 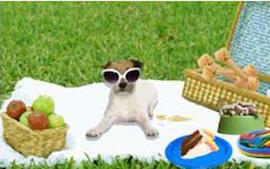 You can choose a Saint Bernard to star in any of our summer ecards. Say thank you to your wonderful grandparents on Grandparents' Day with a Sloppy Kiss ecard. You can choose a Saint Bernard to star in any of our Grandparents' Day ecards. This Rosh Hashanah wish all your furry friends a sweet new year with a Sloppy Kiss Rosh Hashanah ecard starring a Saint Bernard! Send spooky Halloween messages from a Saint Bernard to all your doggy dudes or invite them over for a Halloween paw-ty! 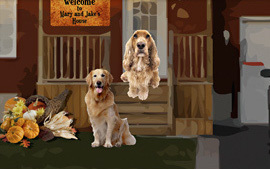 Include a Saint Bernard as the star of your Thanksgiving ecard. 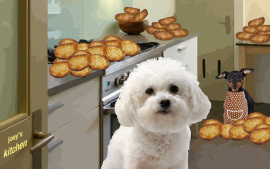 Invite all your posh pooches over to dine on Thanksgiving! Autumn is a time for warm apple cider, walks through the crackling leaves and beautiful colors. 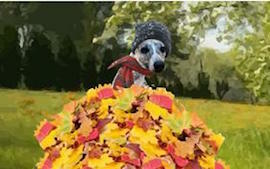 Wish all your friends a Happy Autumn with a Saint Bernard as the star of your ecard! Looking for a unique way to say Happy Hanukkah? Have a Saint Bernard say Happy Hanukkah to all your furry friends! Santa Paws is coming to town! Time to wish all your doggy dudes a Merry Christmas, starring a Saint Bernard! Send Season's Greetings to your loved ones this holiday season. 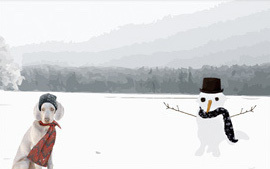 You can choose a Saint Bernard to star in any of our Season's Greetings ecards. Happy Howlidays! 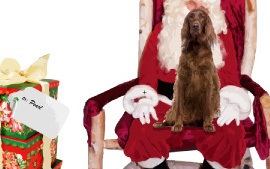 Want a Saint Bernard to send howliday wishes to all your cool canines? Send a Sloppy Kiss ecard! Happy New Year! It's time to paaaw-ty! 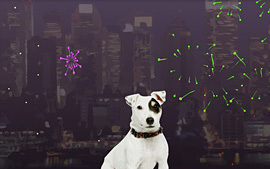 Have a Saint Bernard wish your canine crew a Happy New Year! Puppy love in the air? 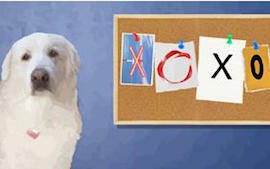 Send a Sloppy Kiss Valentine's Day ecard starring a Saint Bernard. Happy St. Pawtrick's Day! 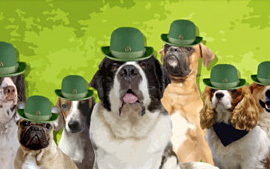 Invite all your cool canines out to celebrate St. Patrick's Day with a Sloppy Kiss St. Patrick's Day ecard starring a Saint Bernard. It's spring time and the Easter Bunny is ready to visit. 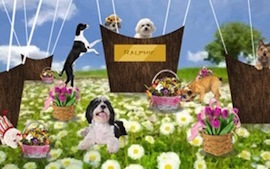 Send Easter wishes starring a Saint Bernard to your furriest friends!